Listed below are a number of requirements needed to install StablePAVE, depending on your application. We advise you follow these so as to ensure you get the best solution to your project that is durable and long-lasting. For more information click here. A minimum of 150mm of suitably compacted Type 1 sub base would be the norm for this type of construction. In poor ground conditions, this should increase to 200mm. A blinding layer to give a level surface as described above, should be applied. 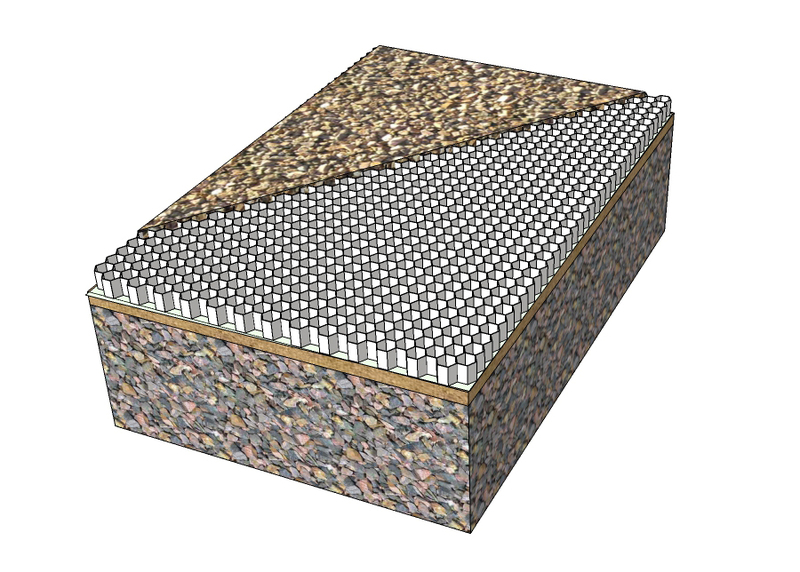 For regular heavier vehicle access and heavy traffic areas, such as car parks, you will need 150 - 300mm (depending on application) of suitably compacted Type 1 sub base, with a 25 - 30mm blinding layer. StableGRASS MAXI provides reinforcement for seeded grass, turf, green roofs or sedum surfaces to allow regular pedestrian access and vehicle use in a variety of applications. Depending on sub base provision these can include car parking, vehicle, plant and equipment access, access roads in environmentally sensitive areas, communal social spaces and woodland pathways. The system can be used both as containment of growing vegetation or as reinforcement under turf, and is naturally permeable. Copyright © 2014 | StableDRIVE - a UK partnership with Cedar Nursery and Hardscape Resourcing Ltd.